Memorial Day History. Why Poppies for Memorial Day? 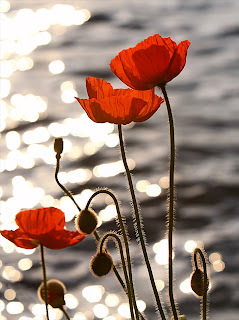 The poppies symbolize the rows and rows of graves that were witnessed by Colonel John McCrae, a surgeon with Canada's First Brigade Artillery, at Flanders' Battlefield in western Belgium during World War I. McCrae summarized his feelings in his know well known poem, In Flanders Fields.